In their early weeks in Hollywood, Ruth is certain that if she and Bethany do everything right, then Bethany will succeed in Hollywood. At what point does she begin to develop doubts? Is it the job of a parent to help a child reach her dreams, even if the risk of failure is great? Many of the adult characters in this book seem predatory. Which ones are, and which ones aren’t? Seeing Stars is about the pursuit of dreams. Whose dreams come true, and at what cost? Whose dreams change the most over the course of the book? Is Angie acting in Laurel’s best interests by taking her to Hollywood? One reviewer has described the Hollywood of Seeing Stars as a lonely, exploitative place. Do you agree? Would you allow a child of your own to pursue his or her Hollywood dreams? Quinn and Allison have both been abandoned by their families. What role does Mimi play in this? In taking Quinn under her tutelage, Evelyn Flynn describes her motives as strictly professional. Do you agree? In hindsight, should Ruth have brought Bethany to Hollywood in the first place? 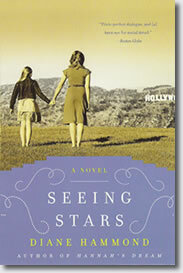 Did Seeing Stars change your understanding of how Hollywood works? If success is striking a balance between drive and talent, which actors came closest to achieving success? Would you allow your move to Hollywood to support your child’s dream even if it means leaving your spouse and other children?